It’s a journey of self-discovery for lead character Alama Citlali. Chaos has struck the kingdom of Arcadia, and she, being a warrior, is seeing the chaos as a chance to change her destiny! 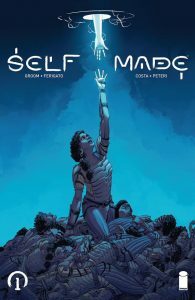 From Image, Self/Made #1 is written by Mat Groom, and illustrated by Eduardo Ferigato. Colors are by Marcelo Costa. It’s a tale of sword and more sword. And a bit of sorcery, sure. Picture the bloody scenes from A Game of Thrones, and combine that with a journey, twisting and turning in shape and direction. It’s nicely paced, with periods of action and chances to the reader to regroup, repurpose and resume the intrigue. 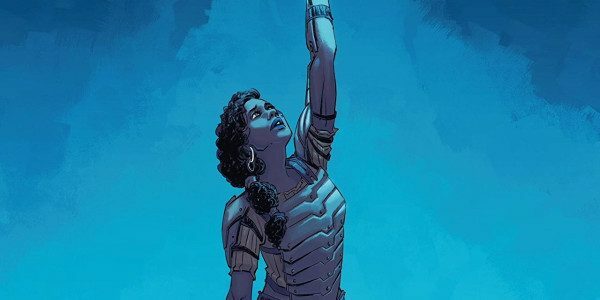 There’s plenty of conflict and drama, and the well-drawn and colourful pages just pass quickly. Very shortly, you find yourself wanting issue 2! The creators have established a website and podcast, to keep readers close and interactive!